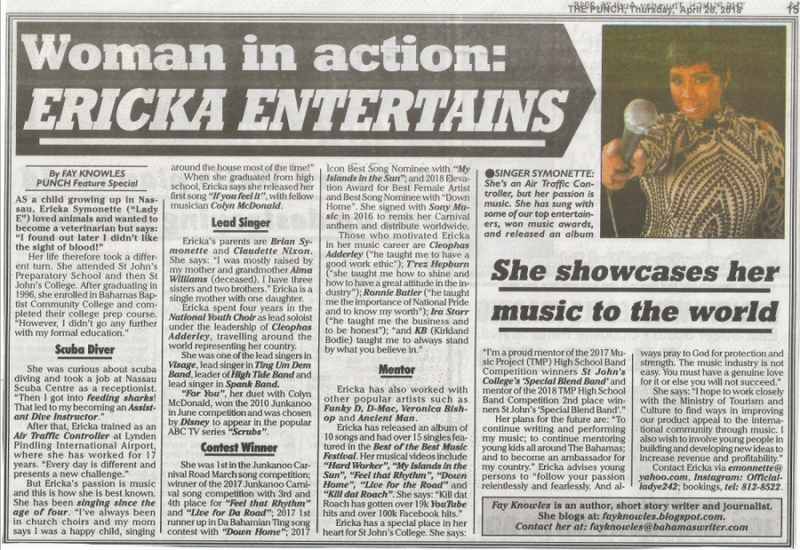 "LADY E" ERICKA SYMONETTE SHOWCASED IN "PUNCH WOMAN IN ACTION" COLUMN TODAY! 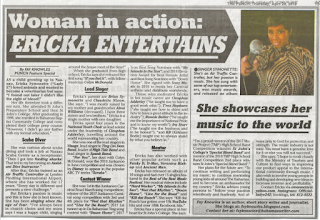 Above is my latest “Woman in Action” article that appears in “The Punch” on page 15 today about “Lady E” (Ericka Symonette). Ericka is an Air Traffic Controller at the Lynden Pindling International Airport, but her passion is music and that is what she is best known for! Look out for another “Woman In Action” article by yours truly in “The Punch” page 15 tomorrow, Thursday, April 26th. The “Woman in Action” column about outstanding local women appears in The Punch every Thursday, with my articles usually published every other Thursday. 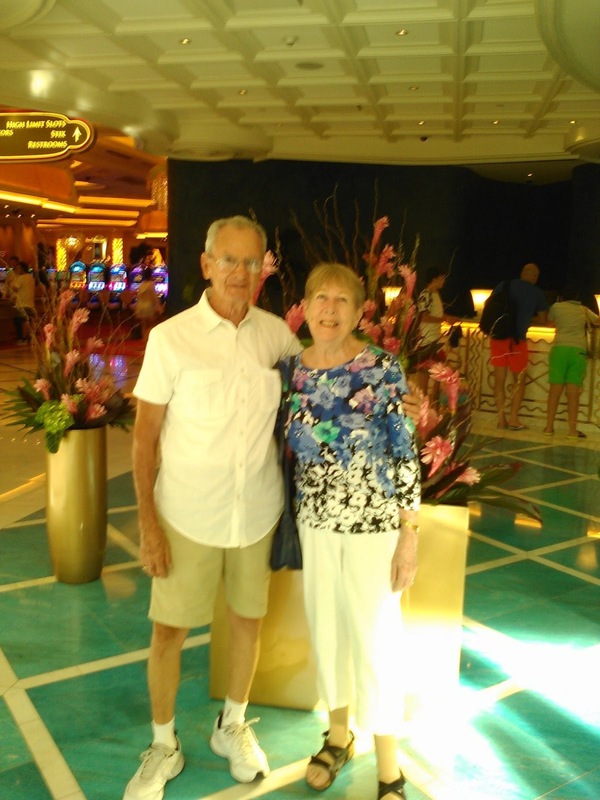 This upcoming article features a well known local entertainer! The Prime Minister of The Bahamas Dr. Hubert Minnis has been attending the Commonwealth Heads of Government Meeting (CHOGM) 2018. British Prime Minister Theresa May, speaking at the closing Press Conference of the CHOGM, said: "We are already seeing a series of commitments that can mark a breakthrough in the battle to save our oceans." And she announced that The Bahamas is one of the countries that plans on banning plastic bags this year! As it’s Earth Day today, this announcement was a very opportune one! Tanya R. Taylor’s number one bestseller “Infestation: A Small Town Nightmare (The Complete Series)” can be downloaded for FREE starting today for a limited time only! 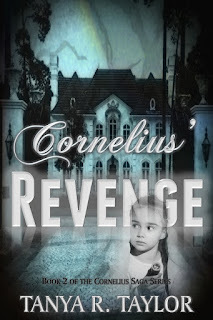 LESS THAN TWO DAYS LEFT FOR SPECIAL KINDLE COUNTDOWN DEAL! 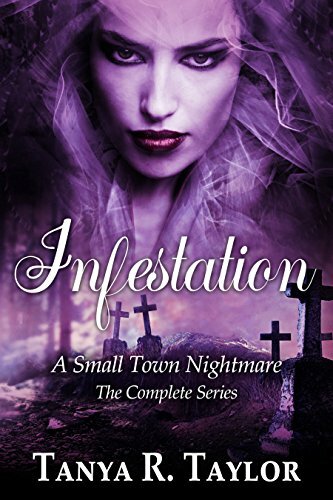 KINDLE COUNTDOWN DEAL - Less than 2 days left at this special price of 0.99 cents for each of my e-book editions! Ends midnight tomorrow Saturday April 14th. 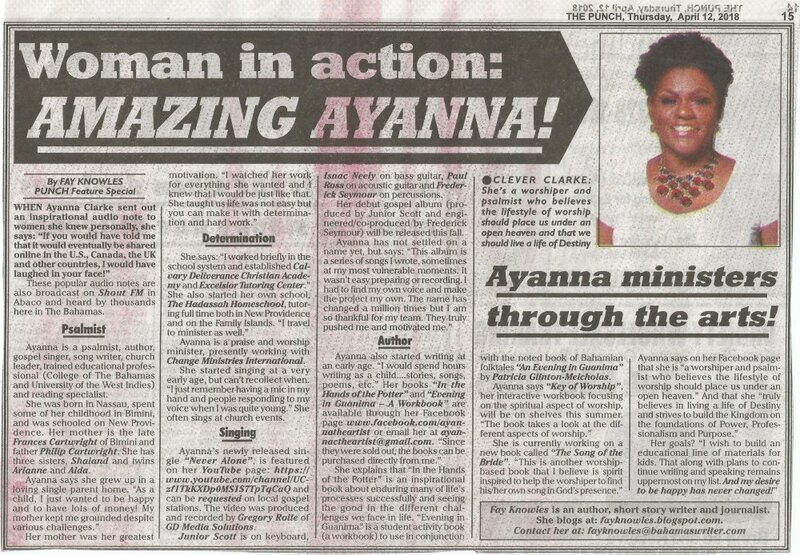 Here is my latest “Woman in Action” article that appears in “The Punch” on page 15 today about Ayanna Clarke, who is a psalmist, author, gospel singer, song writer, church leader, trained educational professional and reading specialist! 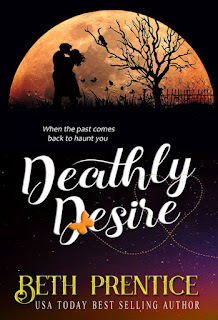 FREE book today by bestselling Bahamian author Tanya R. Taylor PLUS special pre-order price on her upcoming book “Death of an Angel”. 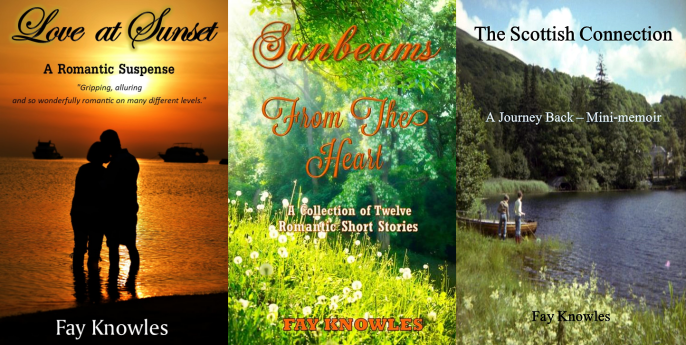 Tanya’s books are terrific! I’m looking forward very much to her next one. 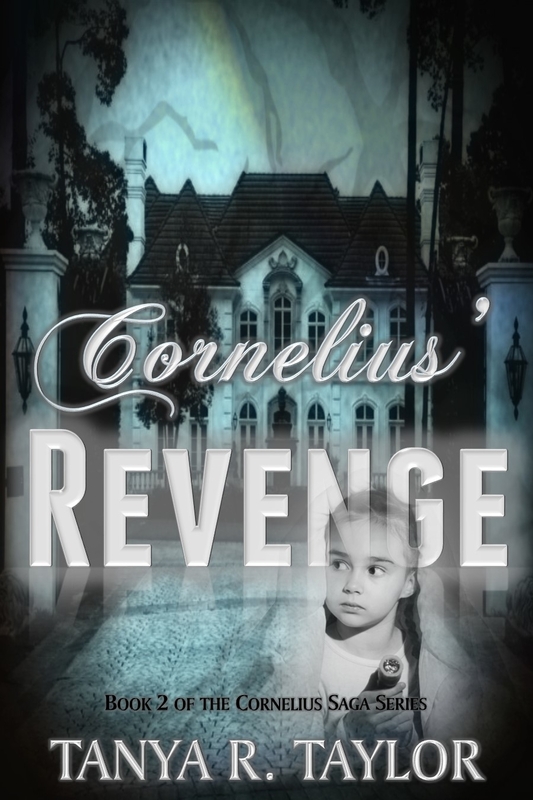 I am currently offering a rare 0.99 cents (and 0.99p in the U.K.) Kindle Countdown Deal on each of my e-book editions (limited time only)! A Beautiful Keepsake! 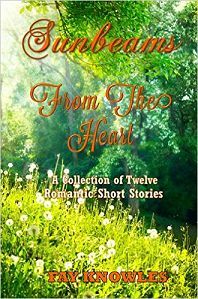 Love themes in this delightful collection of romantic short stories tell of nostalgia, bright new beginnings, homecoming, second chances - and the unexpected! Driving long distances in a short space of time throughout the United Kingdom is the norm nowadays. However, in the seventies it was often an adventure to cover the length or breadth of Britain. 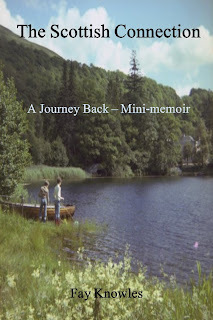 In this illustrated mini-memoir I share memories of my 1978 journey back to Scotland with my mother and young sons, to revisit our Scottish roots. 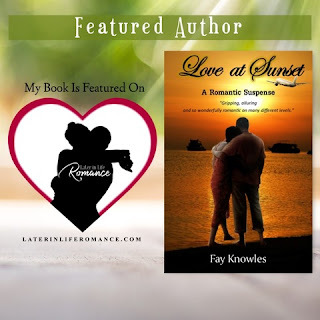 Here’s a newsletter from our very own Bestselling Bahamian author Tanya R. Taylor about her good friend and USA Today Bestselling Author Beth Prentice, who lives on the other side of the world in Queensland, Australia! 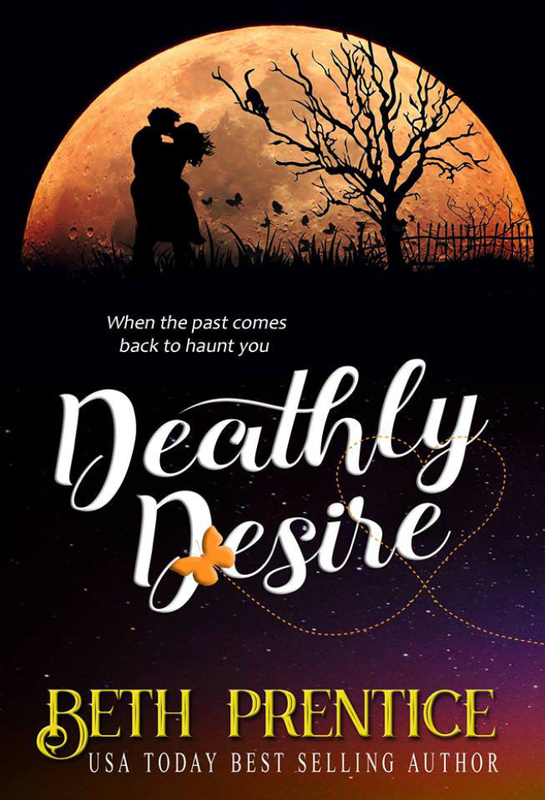 Beth is offering her new book “Deathly Desire” at a special 0.99 cents Pre-order price! 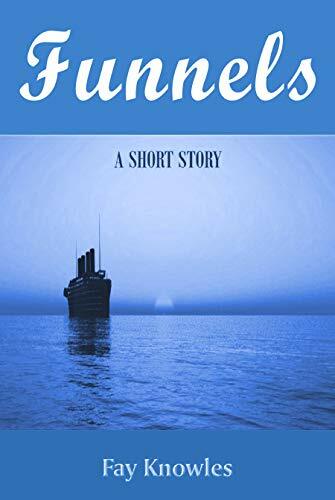 It’s wonderful how writing connects us no matter where we live. Please feel free to share. Baha Mar was hopping today for Easter! We enjoyed our usual Starbucks coffee and cookies and watched all the people coming and going. The Royal Air Force was founded 100 years ago today! 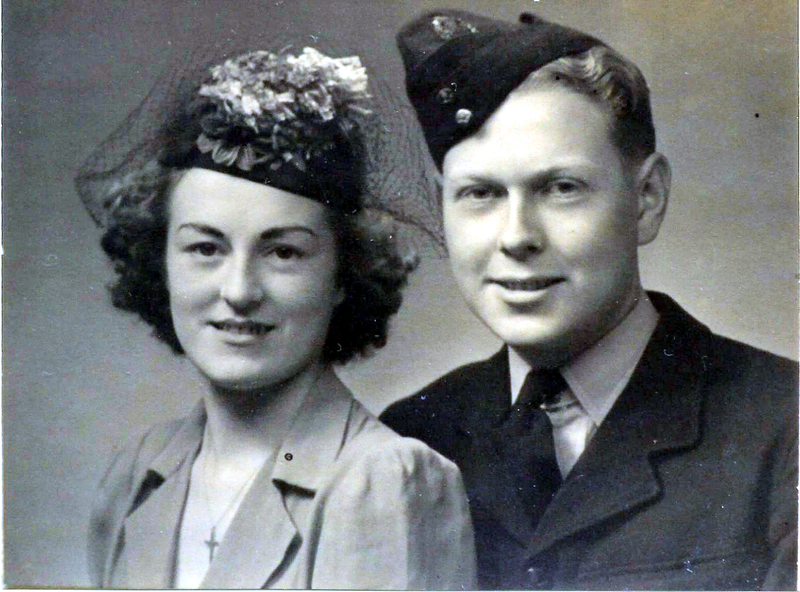 My mother, the late Josephine Johanson, enlisted in the Women’s Royal Air Force during the Second World War and served as a Radio Telephony Operator at a Receiving/Transmission Station, giving pilots on active duty bearings for home. During that time she met my father, the late William Johanson, an Aircraft Instrument Repairer serving in the Royal Australian Air Force. I touch on this little piece of my family history in “The Scottish Connection: A Journey”, my illustrated mini-memoir of my 1978 journey back to Scotland with my mother and young sons, to revisit our Scottish roots.